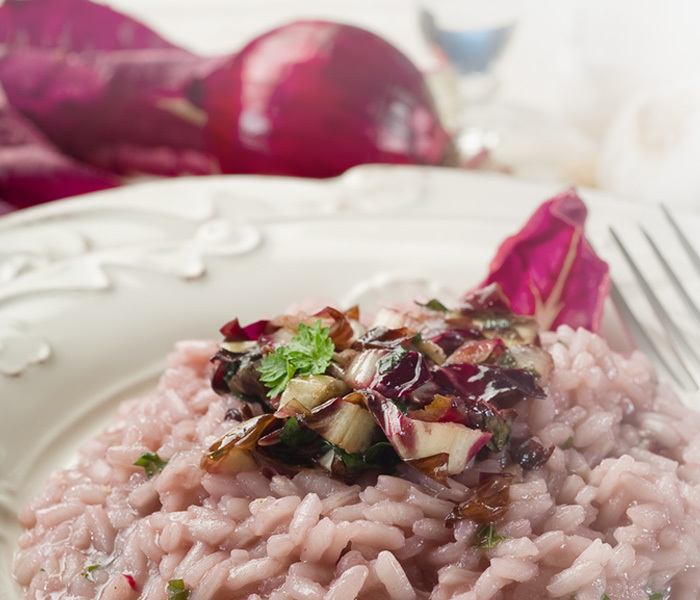 This is an interesting variant of traditional red radicchio risotto, with an unmistakable flavour. The kiwi adds a sweet note which creates a combination of exquisitely balanced perfumes. 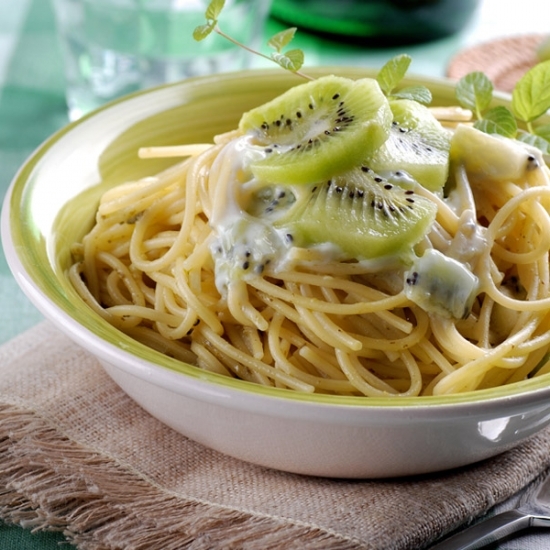 Start by washing and chopping the red radicchio into fine strips and cutting the kiwi into small rounds. 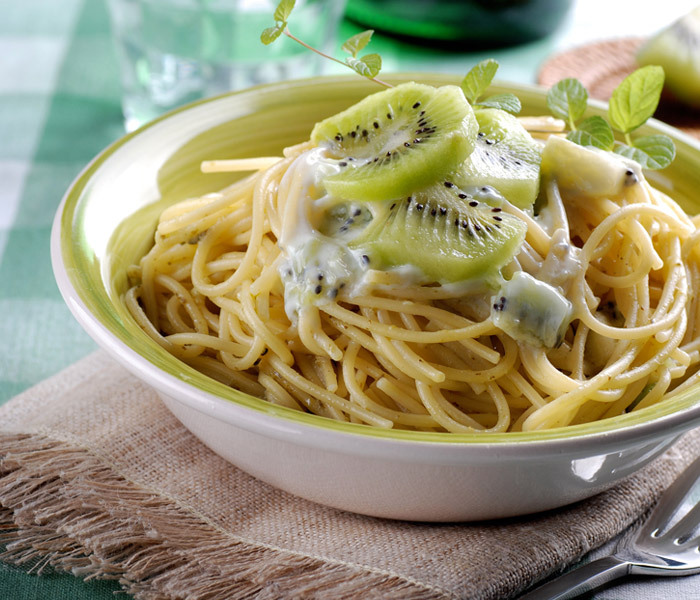 Gently fry the onion in a large pan with the radicchio and kiwi. As soon as the radicchio softens, add the rice and toast it for a minute. Pour over the wine and allow it to evaporate. Add four ladlefuls of boiling stock and set the timer according to the type of rice you have chosen. As soon as the rice is ready, stir in a knob of butter and a generous grating of Parmigiano Reggiano cheese.